Since he entered Lebanon’s fractious politics after the assassination of his father, former prime minister Rafik Hariri, Saad Hariri, a former premier himself, has never been on good terms with Hezbol­lah or its secretary-general, Hassan Nasrallah. Hariri accuses them, both pri­vately and sometimes in public, of being directly responsible for kill­ing his father in a massive bombing in Beirut in February 2005. Hezbollah figures write Hariri off as a Saudi stooge who wasted his father’s wealth and political legacy and would never have made it to power without Saudi consent, ei­ther in 2009 or 2016. Although Syria’s once-formida­ble influence has declined sharply, the Syrians agree with Hezbol­lah when it comes to Hariri. Like Hezbollah, they have had to deal with him to ensure that their ally, Michel Aoun, a Maronite Catholic, became president of Lebanon. 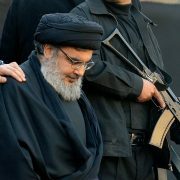 Neither Hezbollah nor Damas­cus, however, is content. 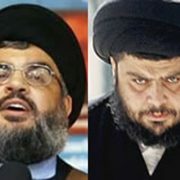 Both are waiting for the right moment to either clip Hariri’s wings or bring him down altogether. It was politically painful yet per­sonally rewarding for both Aoun and Hariri to swallow the regional deal on Lebanon and both are po­litely playing by its rules of engage­ment but that might not last very long. 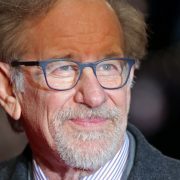 Aoun, a former army command­er, wanted to become president at any price, even if that meant snug­gling up to Hezbollah, reviled by many Maronites, deeply ruining his relationship with the United States, ending his long-time ani­mosity with Damascus and accept­ing Hariri as prime minister, whom he helped topple from that post in 2011. The Syrians would have pre­ferred seeing their long-time Maronite ally, Suleiman Frangieh, as president but they reasoned that, because he is only 51, he could wait a while. Time was running out for the 83-year-old Aoun and Nas­rallah wanted him rewarded for his loyalty to Hezbollah. Aoun surpassed all expectations by living up to his alliance with Nasrallah, hammered out in Feb­ruary 2006. He stuck with it dur­ing Hezbollah’s ruinous war with Israel five months later. These days he insists that for the Hariri cabinet to survive, it must include a clause in its programme to “protect” Hezbollah’s insistence on retaining its supposedly mas­sive arsenal, even though other armed groups surrendered their weapons after the 1975-90 civil war. 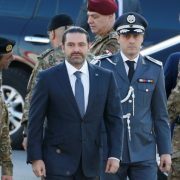 Hariri is prepared to set aside his dispute with Aoun to secure ap­proval for his 30-man cabinet but there are worries in Damascus and Tehran about how the relation­ship between the two will progress from there. Hariri is still backed by the Saudis and committed to regime change in Damascus, something that Aoun and Hezbollah adamantly oppose. Hariri is well connected to heavy­weights in the Saudi-backed Syrian opposition and insists that he will not talk to Damascus if Syrian Pres­ident Bashar Assad stays on. That is something that will be technically difficult for him as prime minister because of the mul­titude of overlapping issues be­tween Syria and Lebanon and the fact that Lebanon has one border with the Arab world and that hap­pens to be with Syria. 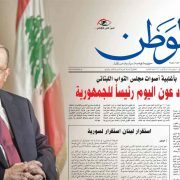 Aoun wants to eject the 1 million Syrian war refugees from Lebanon while the March 14 coalition that Hariri heads wants them to stay as a pressure point on Damascus. 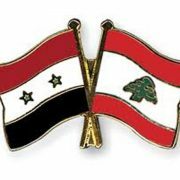 Aoun does not mind Hezbollah’s military support for Assad in the Syrian war while Hariri wants the party’s forces pulled out — at any cost. At a micro level, Hariri wants some Hezbollah officials to stand trial for the assassination of his fa­ther but this is a red line for Leba­non’s new president. 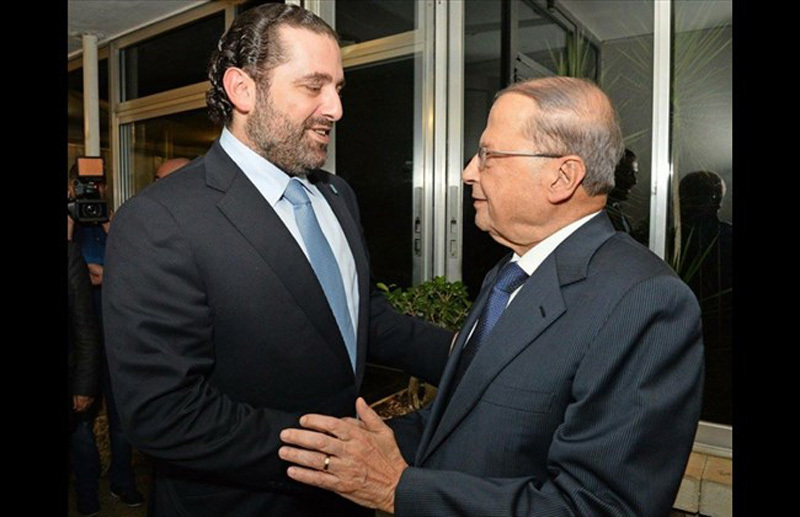 For all these reasons, Hariri op­posed Aoun’s presidential bid for years but he also did so because he wanted a weak Christian president or at least a ceremonial one who would not challenge a Sunni prime minister. Memories are still sharp over how much of a headache the Syri­an-backed president Emile Lahoud was for Rafik Hariri in 2003, where he blocked nearly all of the prime minister’s economic and politi­cal decisions and sat in on cabinet meetings to overshadow the prime minister. Much of that is likely to re-emerge now from the forced Aoun- Hariri partnership. If the prime minister becomes too loud, Hez­bollah and its allies can walk out of cabinet meetings, making them unconstitutional and forcing Hariri to resign, just as they did to him in January 2011. Hezbollah wants to give its allies in the Hariri cabinet veto power to smother any legislation deemed harmful to the Party of God, locally or regionally. Earlier, this veto power was used to obstruct the UN-mandated Spe­cial Tribunal on Lebanon investi­gating Rafik Hariri’s death and any debate about Hezbollah’s arms. Now it will be used to block any ambition Hariri may have of im­posing a cabinet decision on Hez­bollah to eject them from Syria. It insists Aoun reward Hezbollah figures in other parties who helped bring about his presidency. If Hariri accepts these people today, out of sheer necessity, it is doubtful he will be able to live with them for very long, which is exact­ly what Aoun and his allies in Teh­ran and Damascus appear to want.